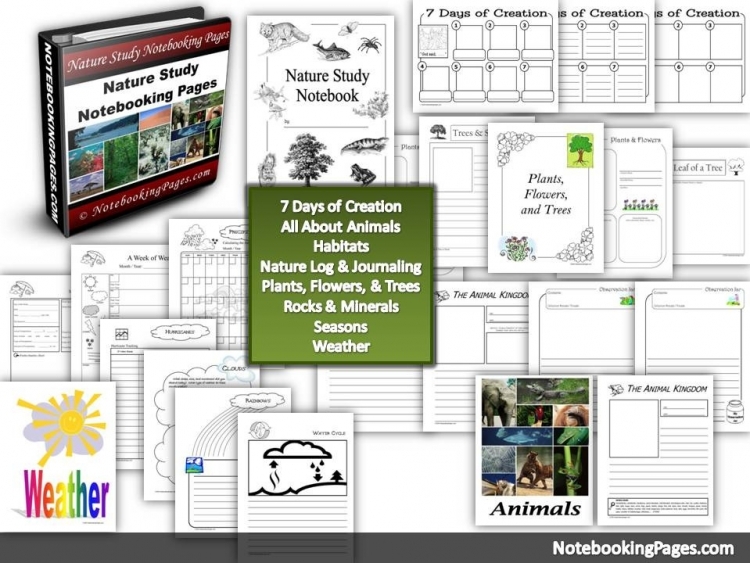 Read pages 736-742 (Lessons #207-208) in the Handbook of Nature Study. These lessons are helpful in learning more about a local brook or stream in your area, noting the changes and movement of soil, sand, and rocks. Advanced study: View this video to learn more information about River Erosion. Take the Handbook of Nature Study along with you to your brook or stream visit. Use some of the suggested observations in the lessons to take a more careful look at what you are seeing. If you can, visit a brook before and after a storm to note the changes. Make a note of where you took your observations and then mark your calendar to come back in the next season to create a year long picture of your brook. Create four pages in your nature journal for your seasonal brook observations. Label them at the top with the season’s name and leave room to write the actual dates as you create a year long study of your brook. If you collected water as part of Lesson #208, use the experiment instructions to learn more about sediment. Advanced study: Create a nature journal entry that explains how a brook’s water carries stones, gravel, and sediment. Make sure to include a diagram of where and how the water deposits its load. If you want to purchase the Autumn Nature Study 2015 ebook so you can follow along with all the notebooking pages, coloring pages, and subject images, you can join the Ultimate or Journey Membership Levels. See the Join Us page for complete information. Also, you can view the Autumn Nature Study 2015 announcement page for more details. Please note that I am an affiliate for NotebookingPages.com. This is a product I have used for many years and highly recommend. It’s in point of fact a great and helpful piece of information. I am happy that you simply shared this helpful info with us.